Position: Head of Building / Property Services Location: Slough area Package: £65-70,000 & Benefits including a 15% non contributory pension Overview: We are looking to recruit a head of department to run the building and property services group of this estate of buildings. You`ll be a senior M&E / building operational professional and will be responsible for the operational activities of the property maintenance and building service section of a multiple building estate. We are looking to recruit a head of department to run the building and property services group of this estate of buildings. You`ll be a senior M&E / building operational professional and will be responsible for the operational activities of the property maintenance and building service section of a multiple building estate. Through tiers of engineers and management, you`ll be looking after planned maintenance, specialist term contracts, statutory compliance, reactive maintenance and preparations for functions & events, and to have responsibility for service delivery, project and programme management and maintaining stakeholder relationships across specified areas of the buildings network. Ideally, you`ll be degree educated in a relevant discipline with substantial hands on technical M&E / building services experience, ideally gained within an environment of occupied spaces. Your group will be responsible for all mechanical and electrical engineering, BMS, HVAC and general building / property maintenance. Experience of managing and maintaining historic / listed / Grade 1 buildings would be a definite advantage but is not essential. * IT literate with a good working knowledge of MS Office. Ideally experience working with a Building Management System. Experience with and understanding of project programming software (Microsoft Project or similar). 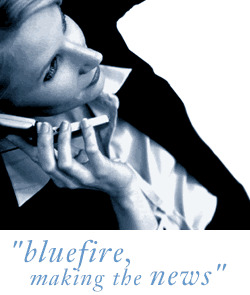 Bluefire Consulting is an equal opportunities Employment Business/Agency specialising in Property and Housing recruitment on a UK wide basis.